Don’t depend on luck to help you pick out a new printer! Instead, check out one of these free webinars to ensure you get the right equipment for your business. Our Canon expert will discuss the latest line of imagePROGRAF PRO-Series printers, and HP’s leading Latex specialist will cover the benefits of latex technology. Attend the webinar and receive additional savings with the purchase of a qualified printer. Space is limited, so sign up today. Ring in 2019 with a free printer webinar. If you are looking to upgrade your equipment this year, these webinars can help you decide which printer is the best fit for your workflow. 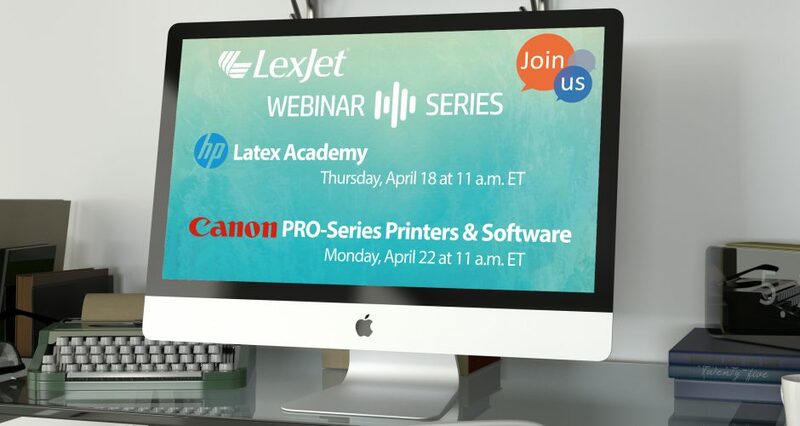 The latex webinar is hosted by HP’s leading Latex specialist, while the Canon webinar – led by professional photographer and Canon specialist – will give you information about the full line of PRO-Series printers. Don’t forget, you will receive additional savings when you purchase a qualified printer. Space is limited, sign up today. The last webinar of 2018 is here! 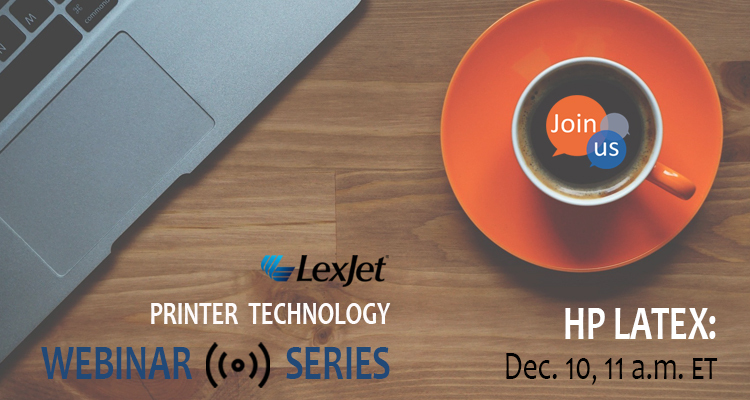 Attend our free HP webinar to see if a new latex printer will bring you good tidings in 2019. 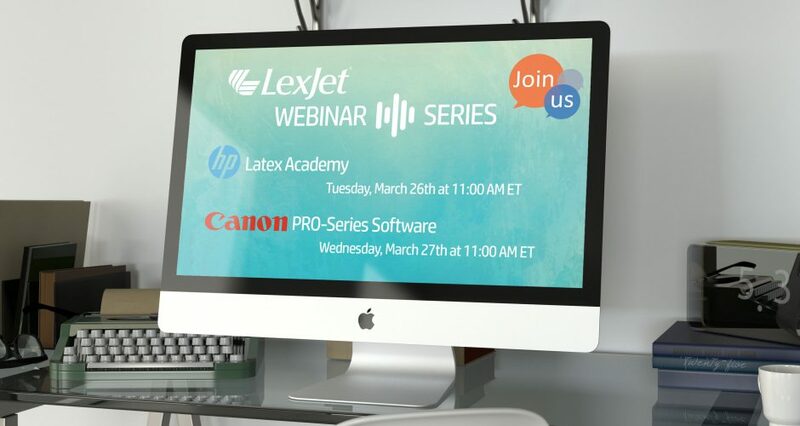 The latex webinar is hosted by John Stevens – HP’s leading latex specialist – and will give you information about the full line of printers and “Print & Cut” options. Don’t forget, you can save some holiday cash with the purchase of a qualified printer. 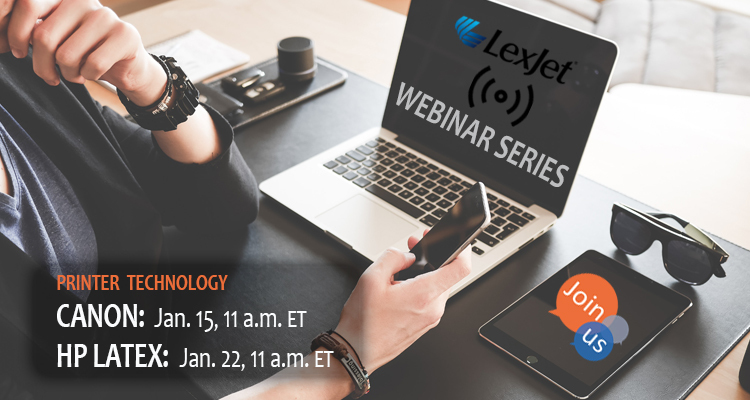 Before you sit down to a big helping of holiday food, fill up on knowledge with free webinars from LexJet. 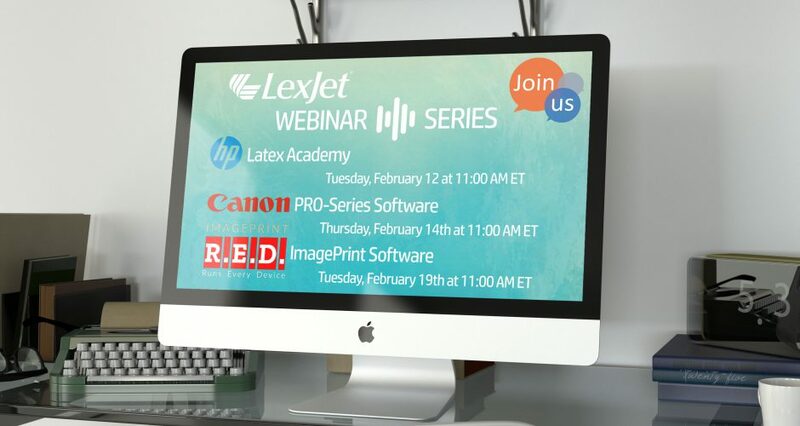 Learn about current HP and Canon printers and receive additional savings when you purchase a qualified printer by attending one of the webinars. 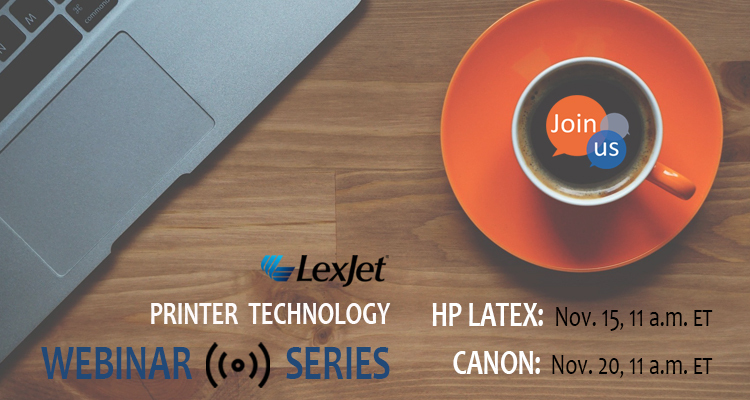 If you have been considering a latex printer, check out the latex webinar, hosted by HP’s leading Latex specialist. The Canon webinar – led by one of Canon’s PRO-series specialists – will give you information about the full line of PRO-Series printers.